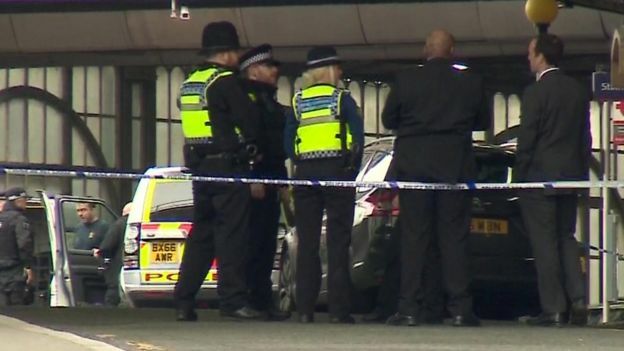 Counter-terror police are investigating three packages containing explosives found at Heathrow Airport, London City Airport and Waterloo station. 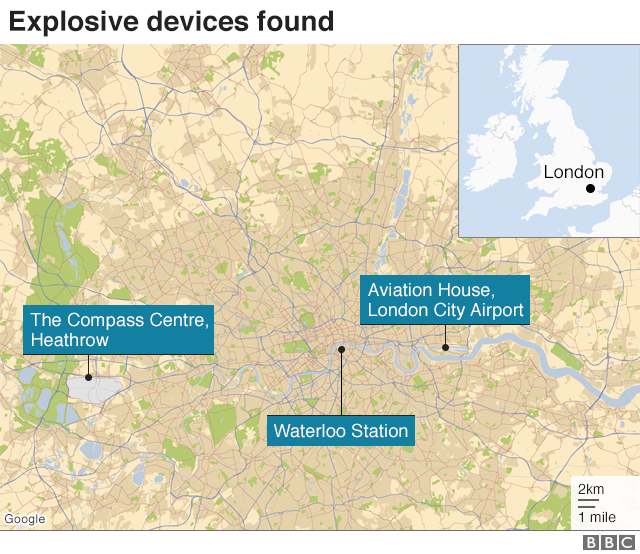 The “small improvised explosive devices” were found in A4 postal bags, the Metropolitan Police said. Heathrow’s Compass Centre was evacuated after the package was reported to police at about 09:55 GMT. The device set fire when staff opened the bag. 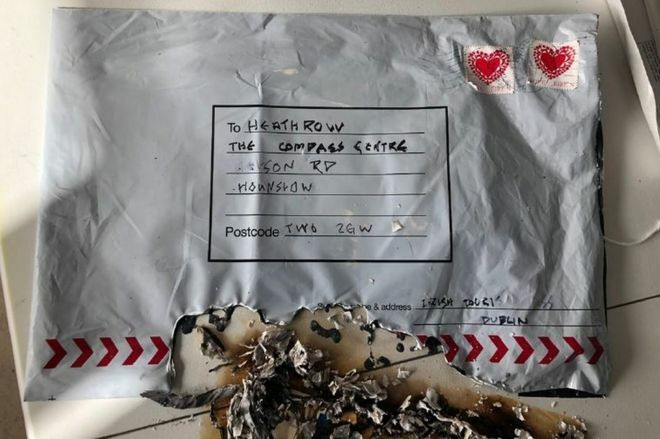 The Met said: “The packages – all A4-sized white postal bags containing yellow Jiffy bags – have been assessed by specialist officers to be small improvised explosive devices. The Gardaí confirmed it was also assisting the Met. The Compass Centre, which is an office for Heathrow staff rather than part of the passenger terminals, remains closed. Two more packages were found in the capital during the next three hours. An area of Waterloo station was cordoned off after a second package was discovered in the post room at about 11:40, the BBC understands. One worker among a group of staff outside the Network Rail office said he found the package. About 100 workers were evacuated from City Aviation House at City Airport in Newham after a third package was reported at about 12:10. City Aviation House is a two-minute walk from the passenger terminal. Staff returned to the office at about 16:00. 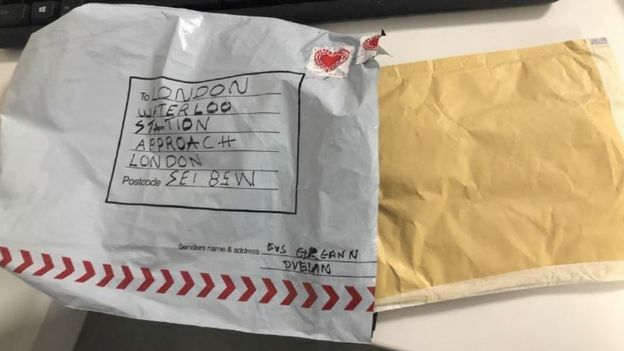 The second two packages were not opened and have since been “made safe”, police said. Flights were not affected but Docklands Light Railway trains did not stop at City Airport for about an hour during the investigation.